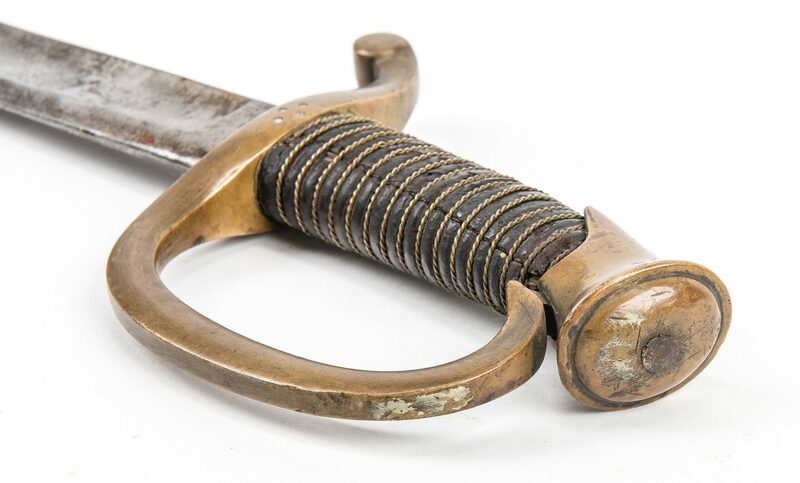 Civil War era Ames Manufacturing Company, Chicopee, Massachusetts, Model 1840 Light Artillery Saber, dated 1861, with Iron Scabbard. Shagreen leather wrap with twisted brass wire, brass D guard, curved, single-edged blade, and iron scabbard with two carrying rings. Ricasso marked "…Co/…ee/Mass" obverse, "US/WD/1861" reverse. Blade length – 31 1/2". 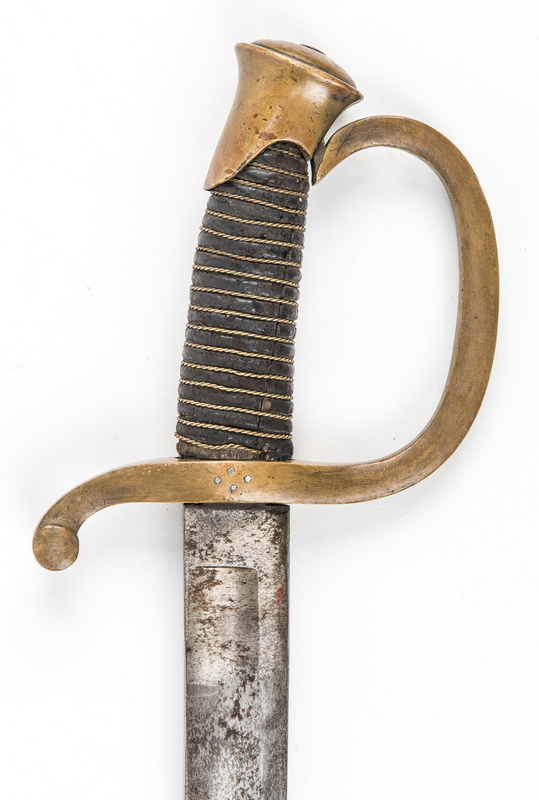 Overall length with scabbard – 38 3/4". CONDITION: Overall good condition. Heavy pitting to blade and scabbard. 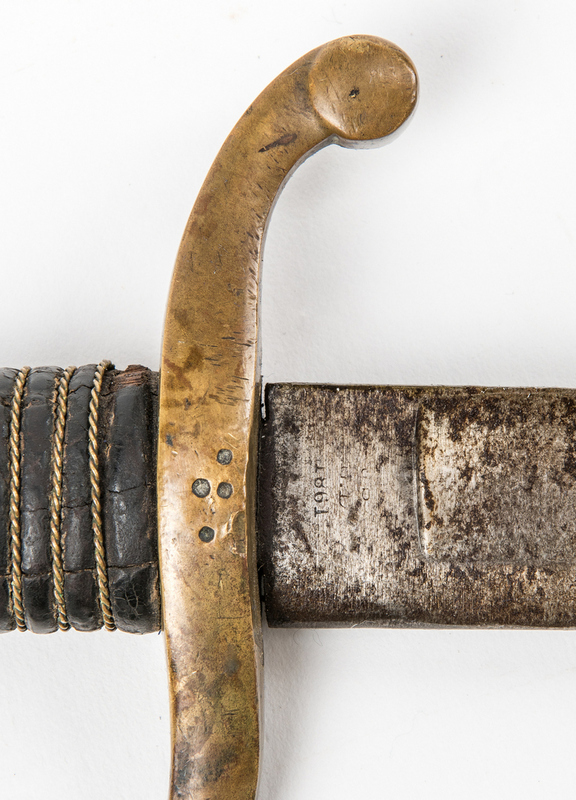 Areas of tarnish to brass, guard slightly loose from pommel.